Mercedes has launched the small-scale production of the hydrogen powered GLC F-CELL, which will be shipped to fleets of ministries and large companies this year. The Mercedes-Benz GLC F-CELL will be offered exclusively in the form of a full-service rental model. This will include all maintenance and possible repairs together with a comprehensive warranty package covering the entire rental period. Among the first customers in the German market Mercedes mentions national and regional ministries, the National Organisation Hydrogen (NOW) and H2 Mobility, Deutsche Bahn, the German railways. 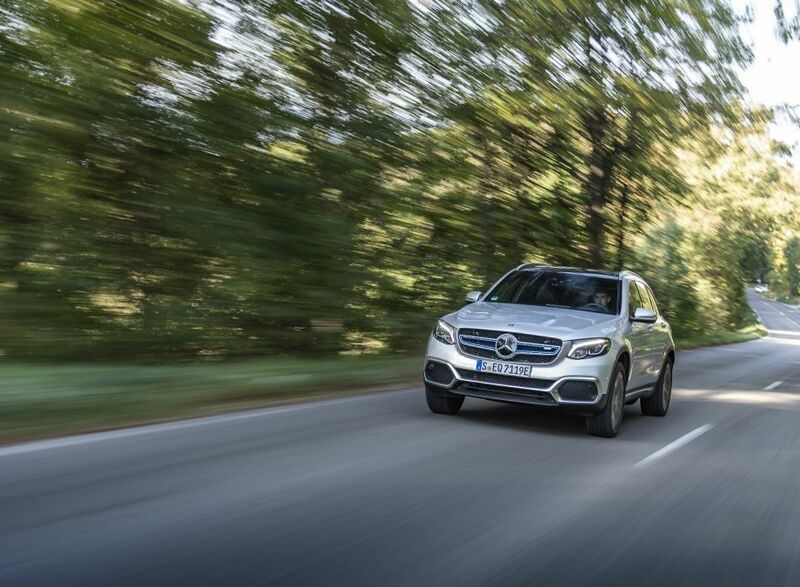 Other corporate clients, like Air Liquide, Shell, Linde AG and also the cities of Stuttgart and Hamburg, will also receive their Mercedes-Benz GLC F-CELL cars later this year. From the spring of 2019, other business as well as private customers will also be able to experience the new fuel cell technology and rent the vehicle via Mercedes-Benz Rent from one of the seven GLC F-CELL outlets throughout Germany. The GLC F-CELL will be available for both short and long-term rental via the Premium Car Rental service from Mercedes-Benz. 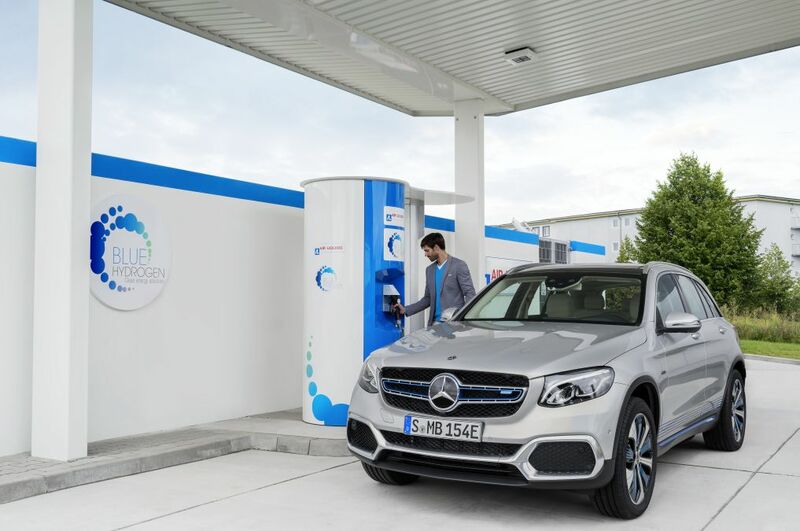 The Mercedes-Benz GLC F-CELL is not just another fuel cell model, this is the first hydrogen-powered hybrid, which can drive up to 471 kilometers without charging. A total of 4.4 kilograms of gas can be stored at high pressures in the two carbon-fiber hydrogen reservoirs, which is enough for about 430 kilometers (with a hydrogen consumption of around 1 kg/100 km), while the power provided by the additional 13.5 kWh battery increases the range with approximately 51 kilometers. Mercedes-Benz GLC F-CELL features both fuel cells and a battery drive which can be charged externally using plug-in technology. 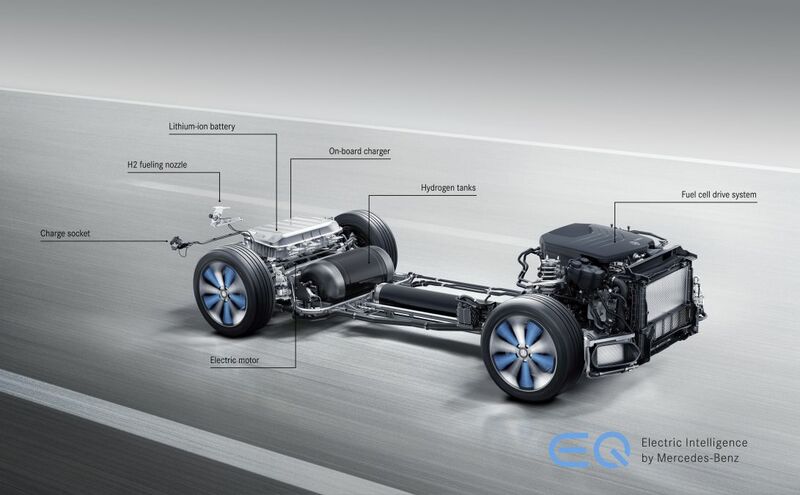 The GLC F-Cell is driven by a 155 kW electric motor that will be powered by the on-board produced power from the hydrogen fuel cell – the so-called F-Cell propulsion system. The hydrogen pile is located under the front hood, while the electric motor and the battery are located above the rear suspension. Hydrogen reacts with oxygen, resulting in electricity, heat and water. An inverter converts the direct current from the combustion engine into alternating current for the electric motor. Excessive power not used for propulsion, as well as that recovered during braking, is stored in the 13.5 kWh lithium-ion battery, which can also be charged at the outlet. Thanks to globally standardised 700-bar tank technology, the hydrogen supply can be replenished within just three minutes – as quickly as is customary when refuelling a combustion-engined car.